This locally owned 1-owner 2014 Toyota Avalon arrives in excellent condition and comes loaded as an XLE Touring model with factory options including Touch Screen Navigation, Heated Leather Seats, Sunroof, Rear Camera, Blind Spot Monitor, 18" Wheels and more. 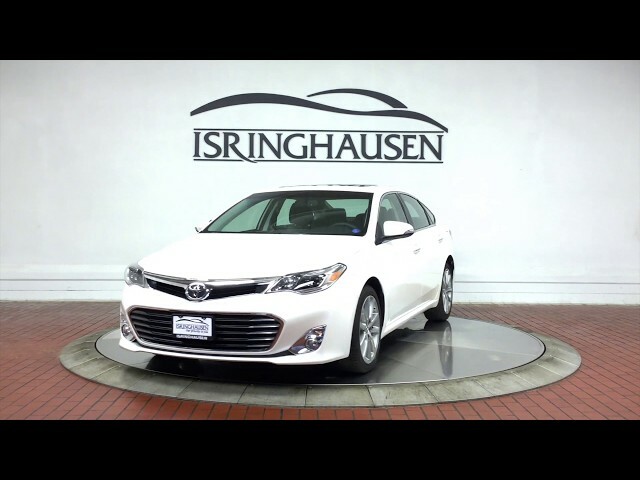 With legendary reliability and a plethora of luxurious amenities, this 1-owner Toyota Avalon is an exceptional value. Contact a Pre-Owned sales specialist today by calling 877-362-9715. Isringhausen Imports is Central Illinois' premier new car, used car and certified pre-owned (CPO) dealership for quality BMW, Porsche, Volvo and Mercedes-Benz vehicles. At Isringhausen Imports, we have become a leader in the industry by working each day towards the greater good of our customers, our fellow employees, and our community.